Men these days love to look nice and with Father's Day not to far away why not get them a hot looking tie from Bows 'N Ties! The tie I received for my husband is a PUCCINI's from the New line Repp-Stripe Collection. 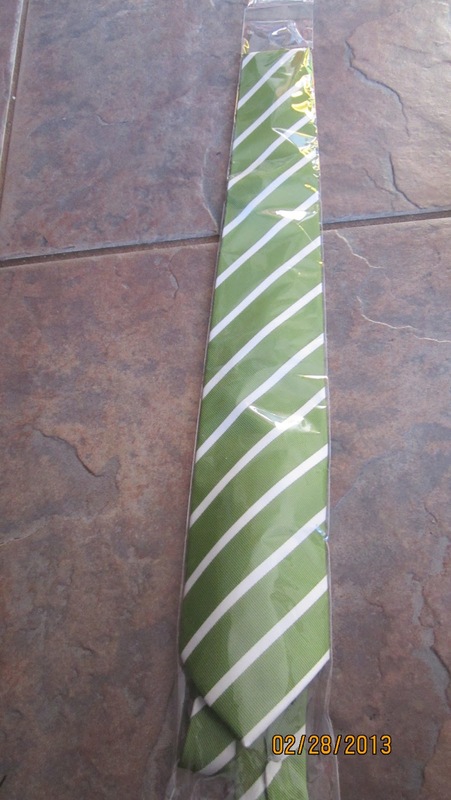 I have been around a lot of ties in my life time and right away I could tell this one was quality. The tie is very strong in fibers you can just feel it and know it will not fall apart any time soon. I also loved the color it is a strong lime green with white stripes which tone down the green making it great with any white shirt.PUCCINI's line comes in 8 trendy colors. Men can wear these ties to work, weddings, parties, anywhere they just make the guy go from okay to WOW! Ties from Bows 'N Ties take ordinary to extraordinaire! Bows 'N Ties has a great collection of ties and bows. There is something for everyone. Can you believe that Bows 'N Ties has over 1000 colors to choose from. Most of the ties cost only $9.90 some are a little higher at $14.90. Bows 'N Ties has been featured in many Bridal Guides. 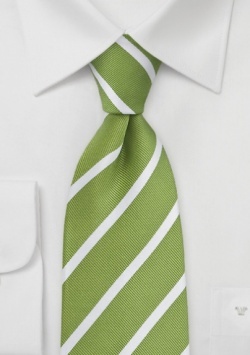 What also makes Bows 'N Ties stand out is that they are wrinkle and stain proof. 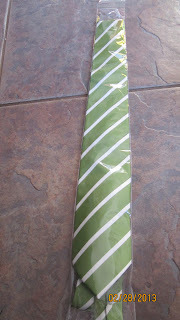 Now, having a chance to try the tie myself, I will be coming back to Bows 'N Ties the price and quality cannot be beat! Check them out for yourself by clicking here. Win a PUCCINI's tie (will be any of the 8 colors, its a surprise). Enter the rafflecopter below. Contest ends 3/23/13. Disclosure: I was given a tie to help with my review. All opinions are 100% mine.I received one or more of the products mentioned above for free using Tomoson.com. Regardless, I only recommend products or services I use personally and believe will be good for my readers. I like their Classy Mens Tie in Bright Persian-Red! I like the Mens Necktie in Festive Silver. This would be awesome to win, hubby got promoted recently, so he has to wear suits 2 days a week now!